Tired of the same old appetizers at get-togethers? Take your party game up a notch with these 18 can’t miss party appetizers. 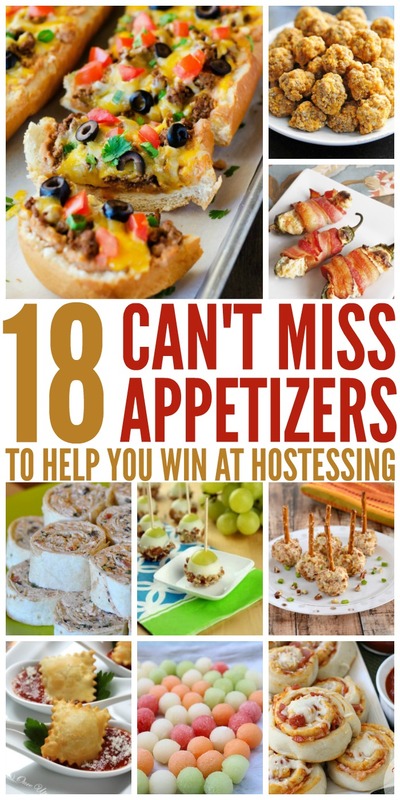 You’ll be the hostess with the mostess for sure! (People still say that, right?) 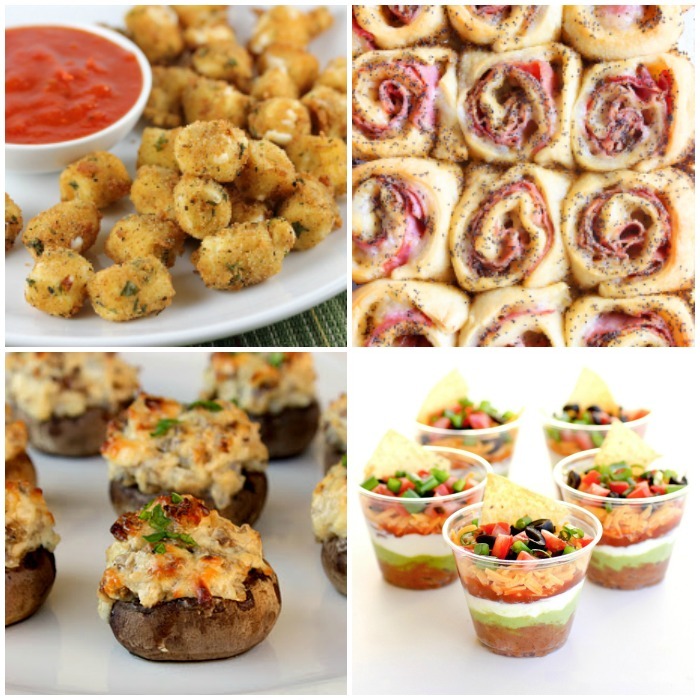 And while you’re here, check out 17 More Irresistible Party Food Ideas. I can’t be the only one who’s grossed out when folks double dip, right? 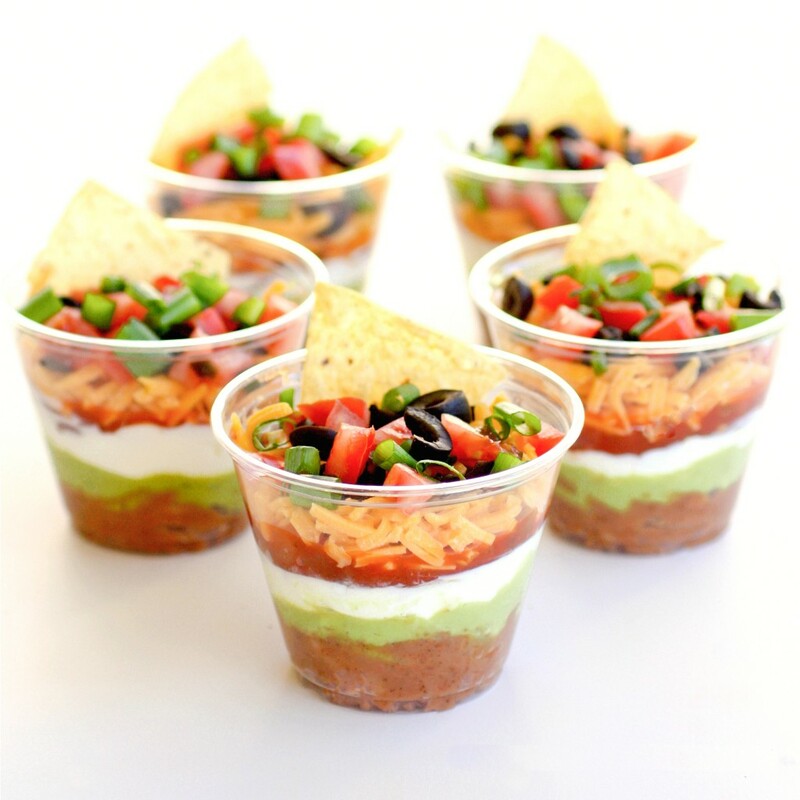 Eliminate that problem once and for all by giving all party-goers their own dip cups. Try this recipe for 7-layer dip on for size! 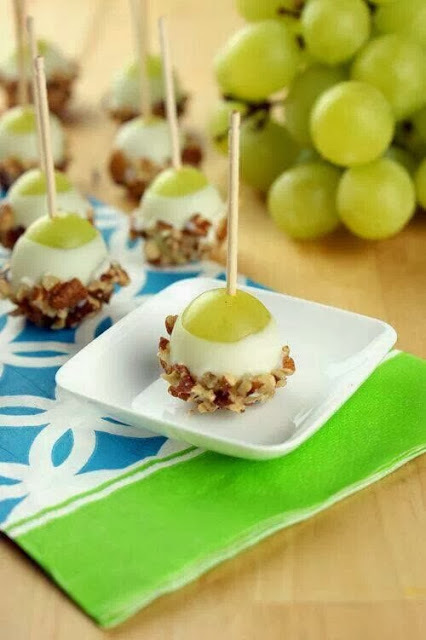 We’ve long loved frozen grapes, but here’s another to try that’ll be popular with kids and adults alike: dip grapes in yogurt and crushed nuts and THEN freeze them. Yummy sweet treats for just a few calores… We call that a win! 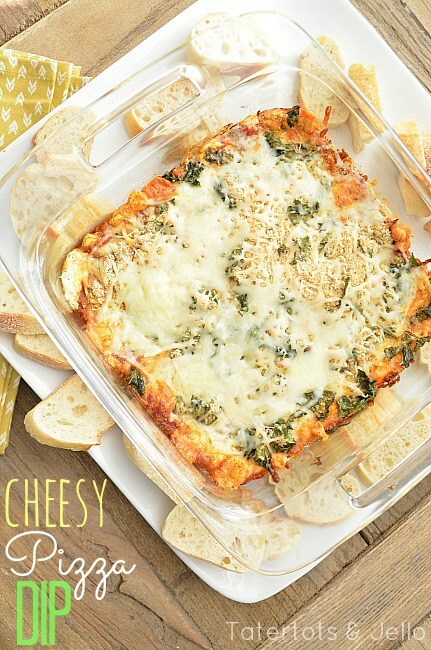 Everyone loves pizza, so pizza dip is a no-brainer. Serve it with chips or toasted bread. 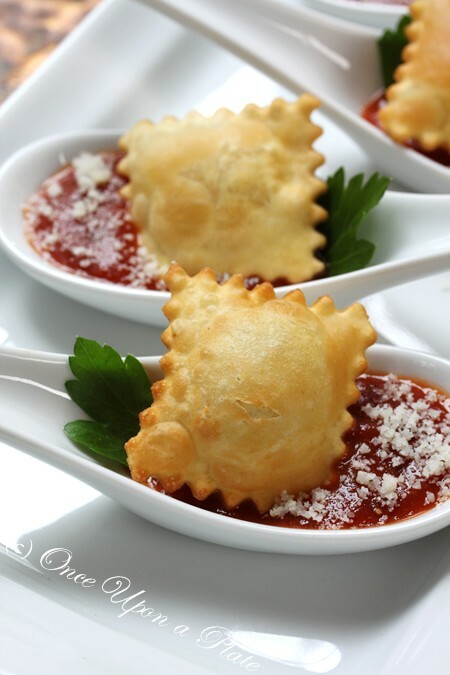 I just love these Crispy Ravioli appetizers served in spoons. Pretty and tasty! 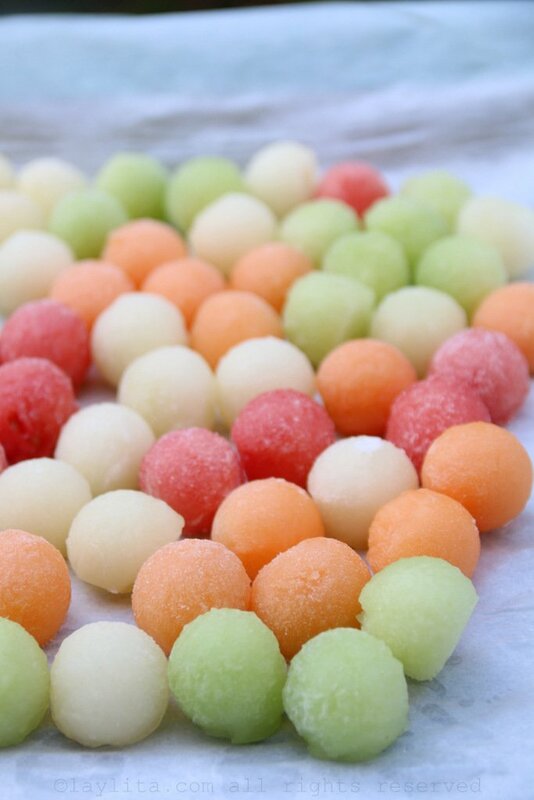 Melon ball ice cubes are fabulous in clear frozen drinks, but they’re pretty tasty as appetizers, too! 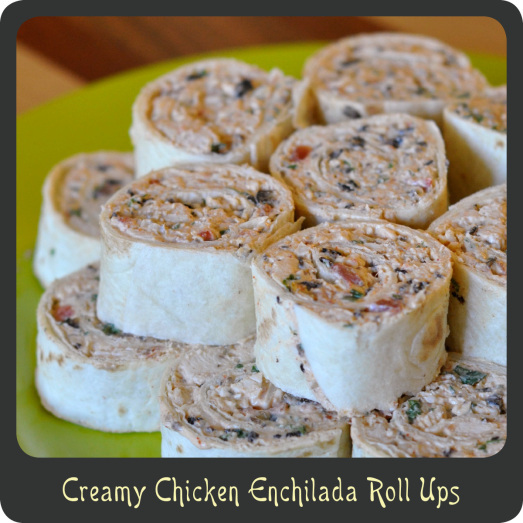 Creamy Chicken Enchilada Roll-ups are the perfect finger food for any party. 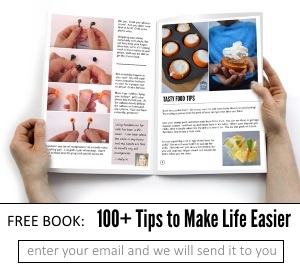 Seriously, folks will gobble these things up, so make more than you think you need. 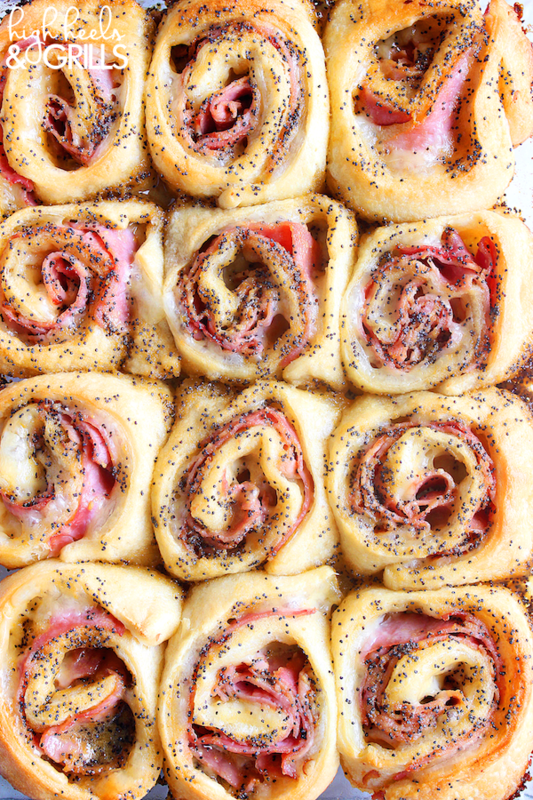 Speaking of roll-ups, Baked Ham and Cheese Roll-ups are popular, too. The mustard poppy seed glaze really takes them over the top. Hosting a kid-friendly party? 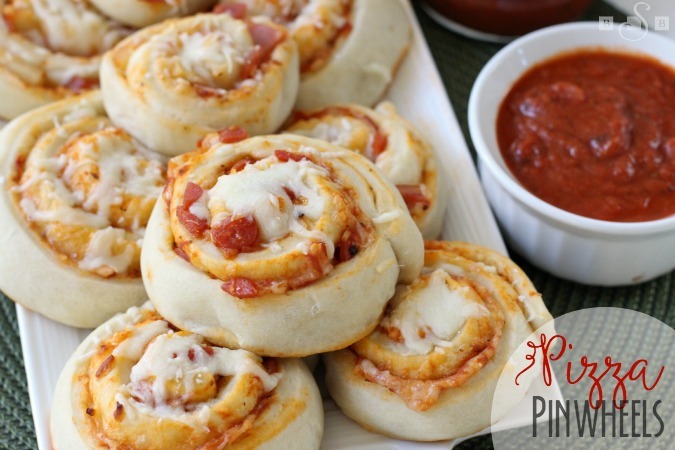 You can’t miss with pizza pinwheels. Even adults will love them. 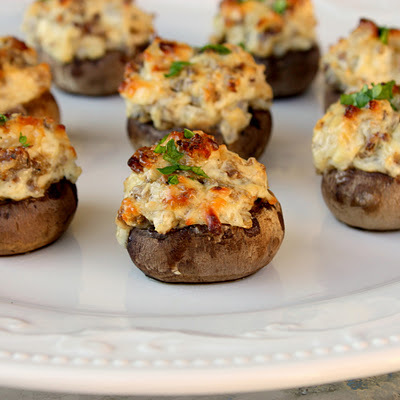 My favorite appetizer is Stuffed Mushrooms. Sausage, cheese and mushrooms – what’s not to love? 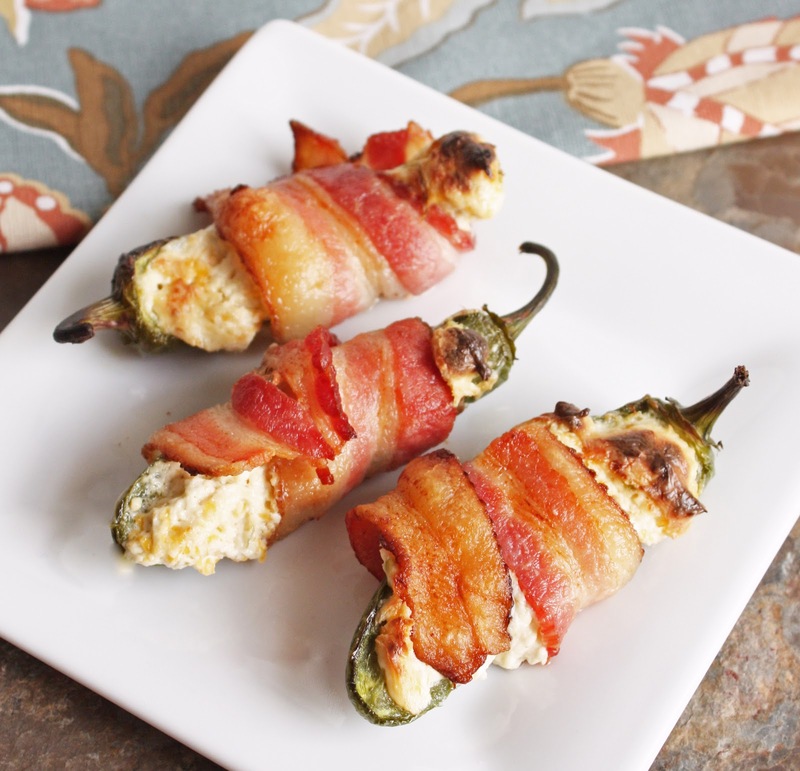 Spice up the party with Bacon Wrapped Jalapenos. These are low carb, too, so bonus points for being diet-friendly! 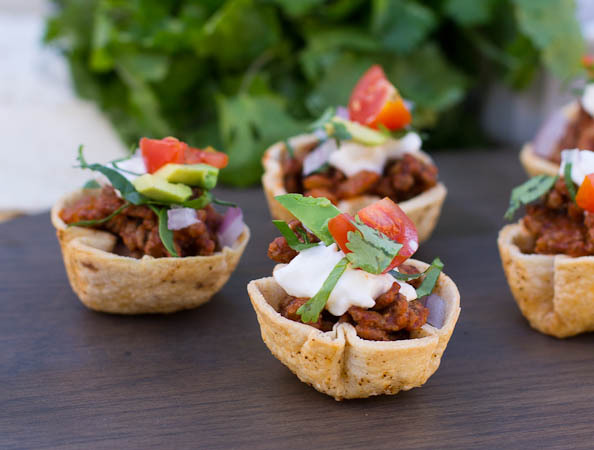 Two-bite Mini Tacos are the perfect way to kick off festivities. They’re a lot easier to eat than regular tacos when you’re walking around socializing! These aren’t your mama’s deviled eggs. 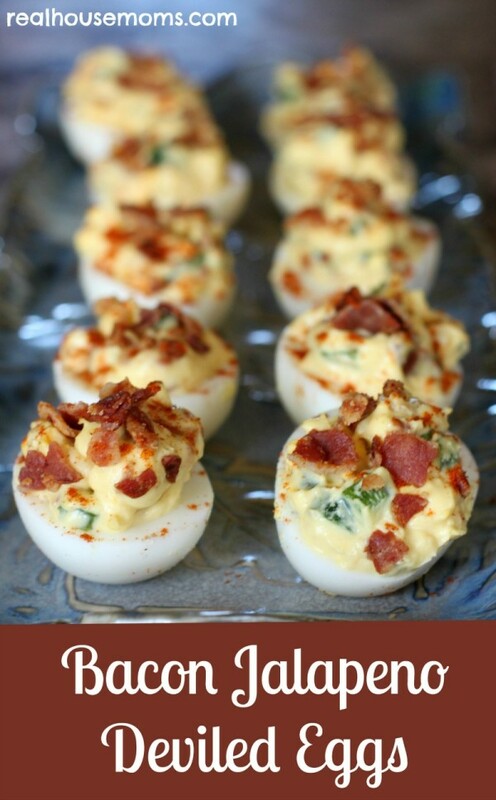 Bacon Jalapeno Deviled Eggs pack a serious kick to your taste buds! 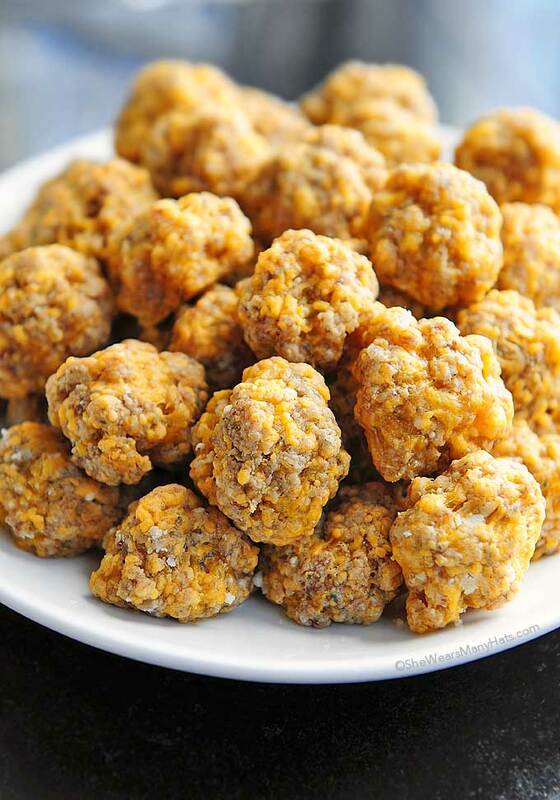 Sausage Balls are the perfect savory bite for a party. They disappear quickly! Make some with mild sausage and some with spicy to suit different palates. 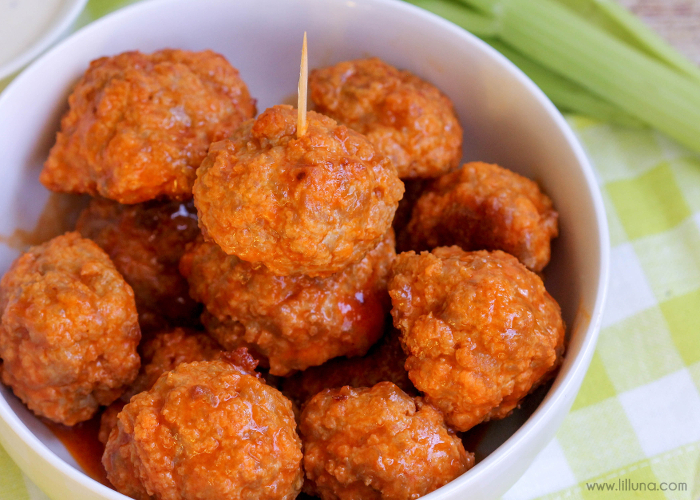 Instead of traditional meatballs, try Buffalo Chicken Meatballs for a new twist. They look amazing! 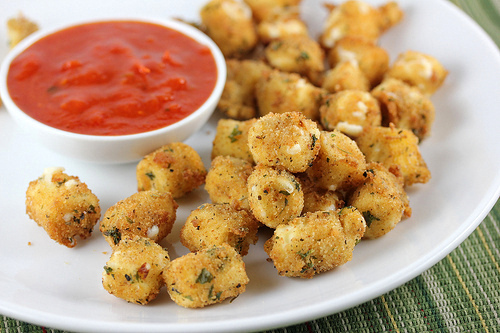 These mozzarella bites couldn’t be easier. Cut string cheese sticks into bite sized pieces, roll in a breadcrumb mixture and deep fry. Yum. 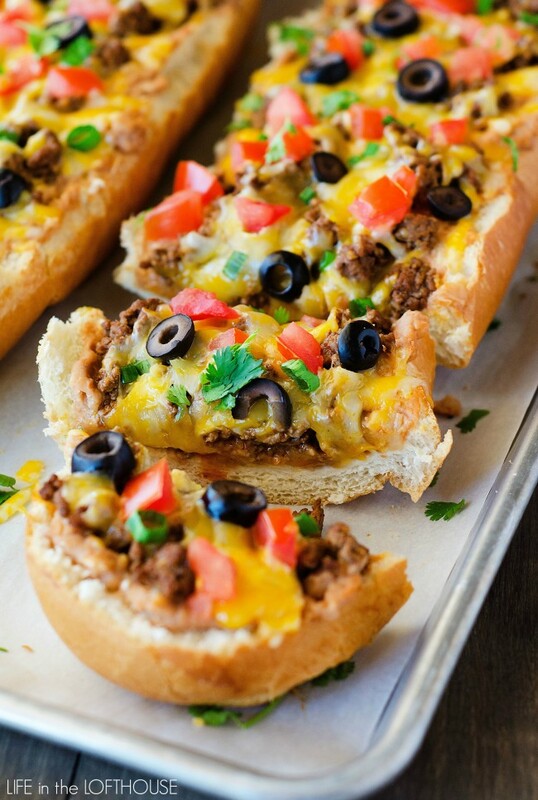 Taco French Bread Pizza is a yummy dinner, but it can easily be turned into an appetizer to feed a crowd by cutting it into small pieces. Doesn’t it look delicious? 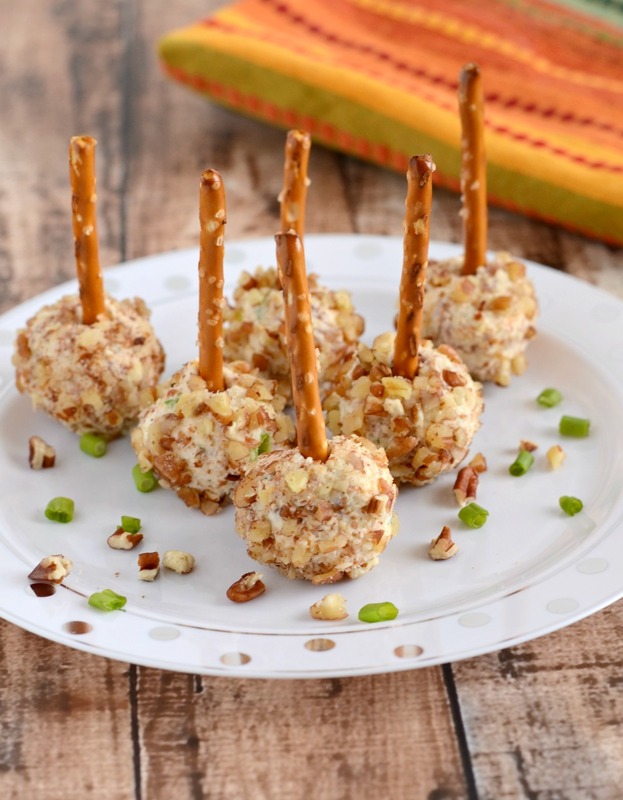 Instead of one big cheese ball, try Mini Ranch Bacon Cheese Ball Bites. No one has to stand in line for the cheese ball and crackers! You’ve probably noticed bacon in a lot of our picks here, right? We love bacon! 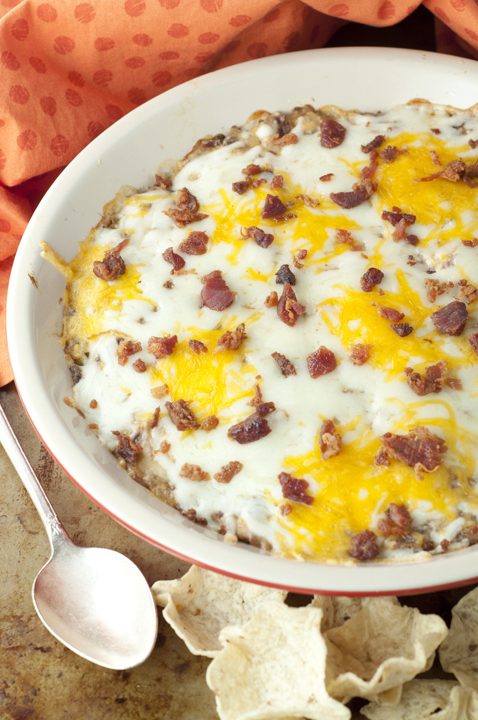 Our final favorite appetizer is this Bacon Cheeseburger Dip. It’s cheesy, creamy and delicious! Need more party tips? Check out these posts!